Since the 1990s, laser dentistry has been used as a safe and effective treatment for a range of dental concerns. Our dedicated office staff and the skilled Dr. Sykes at The Reno Dentist will provide you the best care in procedures using dental lasers. 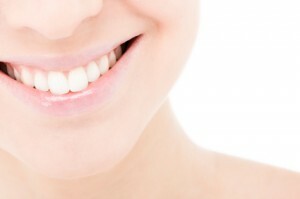 You will see and feel immediate results after a laser dentistry procedure. Most of our patients jump with joy because it now means dentists like Dr. Sykes who are using dental lasers do not have to use a drill or administer anesthesia — one of the top reasons many avoid a visit to the dentist. Not only is it completely comfortable during a laser dentistry procedure, more important to your health in using dental lasers is that when treating abscessed gums and infections, removing swollen tissues, or performing biopsy procedures, lasers are more precise. This ensures a shorter, more complete healing process. Dr. Sykes has extensive laser education and training, and our staff has attended ongoing professional education to ensure you receive laser dentistry care that exceeds your expectations. Safety is a top concern for our office and for all procedures using dental lasers. You will wear protective eyeglasses during your procedure and will be nestled comfortably in a warm blanket, listening to your favorite music with our state-of-the art headphones. When choosing a dentist, Spanish Springs, Sparks and Reno NV area residents are choosing The Reno Dentist. No longer do you have to brush through the aching, ignore the excessive bleeding of your gums or worry about a dental visit for possible decay. Our highly trained staff is here to provide you with safe, comfortable, and germ-reducing laser dentistry procedures using dental lasers with or without other instruments. Rest assured that we put your needs and finances first and understand that your dental care is as important to you as it is to us. Come into our office in Reno and see the new era in dentistry and walk out with your mouth feeling fresh and more importantly, pain-free.